We submitted our preliminary application and found out the same night that we were accepted into the Uganda Guardianship program! That was a super fast turn around! The agency sent me a lot of paperwork over email to fill in and have notarized so I started working on that and it will be sent out today! I'm pretty proud of myself for only taking two days to get things done! It would have been done yesterday, but Ryan was out of town. Now that we have been accepted, the next step is..... more paperwork! I have partnered with an agency to just do our home study since our placing agency is out of state. I have filled in the paperwork they sent me as well and hopefully we will be assigned a case worker sooner rather then later. Once our caseworker is assigned we will have meetings and she will take close to eight weeks to write her report. I am crossing my fingers that it is sooner since we have had two home studies done in the past (one for our first adoption and one for foster care) so all of the background information and community information is already in there which will require less work on the social worker's part. My placing agency seems pretty proactive and sent me a two page list of things I have to include in the dossier, which is the packet of paperwork that is sent to Uganda. Things like referrals, marriage licenses, birth certificates, financial statements, passport copies, background checks, and employment letters are included on that list and that isn't even touching the surface of it all! Last night as I looked things over and began to read about people's suggestions in how to prepare for what's to come I began to feel a bit overwhelmed. I had not forgotten that the paperwork was daunting, but I think you forget the other feelings that come along with it. The feelings I remember are the ones associated with the good things. They all out weighed anything negative. I remember the sheer relief of getting our PGN appointment date and knowing it wouldn't be long before she was ours forever. Each time I remember the first time I saw her and the feeling I had I have to hold in the tears. It was pure joy! There is nothing like it. 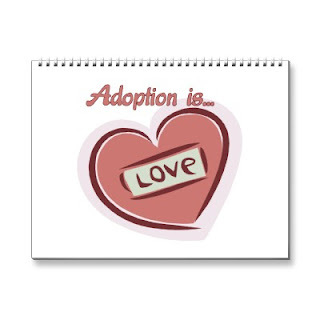 Other adoptive parents may understand what I mean. So I will try to hold on to the memory of the joy and remember that all will come together in the time it is supposed to.